If you have recently spotted signs of mold in your house in Atlanta, Georgia, you can rely on “The Mold Experts!” at Abatement Solutions Inc. to eliminate the mold effectively and promptly, returning your home to a safe environment. To determine the extent of the mold contamination, we will first conduct a thorough inspection of your property, and have air samples tested as needed. Before we can remediate the mold in your house, we will likely need to extract the water that has allowed the mold to grow, using water extractors, air movers, and dehumidifiers to dry the space. Next, our Certified Mold Remediation Contractors will quarantine the mold growth using containment barriers and air scrubbers, which will filter mold spores from the air. We will clean the moldy surfaces with a powerful disinfectant and safely remove whatever items in the home cannot be salvaged. Then we will apply a powerful fungicide to the affected surfaces, killing any remaining mold spores as well as a wide range of other pathogens. As a full-service mold remediation company, we also have the skills needed to rebuild the mold-damaged surfaces – such as drywall, baseboards, or flooring – making them look like they did before the mold damage occurred. Then to prevent the mold from returning, we will spray a protective coating on the surfaces that face the highest risk of mold growth. We back this preventative treatment with a 10-year warranty, which promises that, in the unlikely event that mold does reappear on those surfaces, we will return to remediate that mold free of charge. 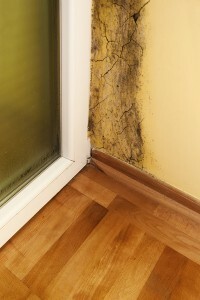 To eliminate the mold in your house in Atlanta, GA, contact Abatement Solutions Inc. today.